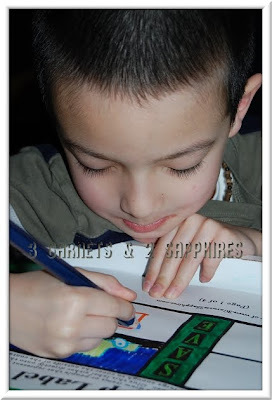 Since the beginning of 2010, I have had several opportunities present themselves to review products or books revolving around the subject of children and money. I suppose it is a reflection of the tough economy and our generation wanting the next to be more prepared for economic downturns. 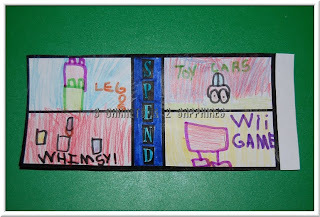 We just officially started giving our 6yr old an allowance last week. 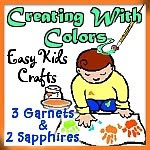 To prepare for this, I took what I learned from the Money Savvy Pig and the Three Cups storybook and I put together this easy project. 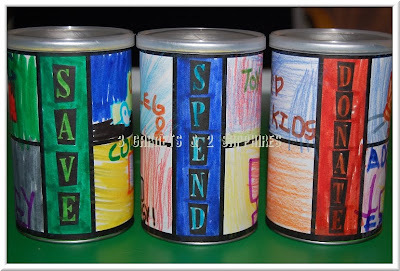 The main concept is for your child to divide any incoming money into categories. 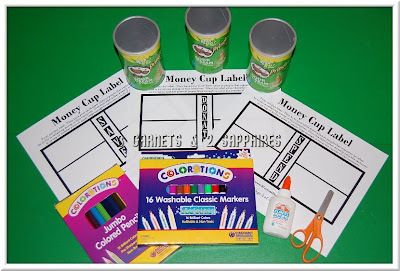 Ask you child to decorate 3 labels to go around each of 3 containers using markers and color pencils. 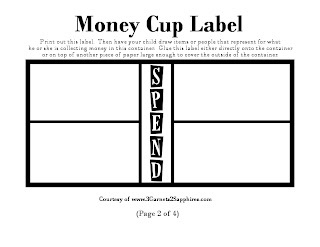 While decorating the labels, your child should draw or write the names of items or people he or she relates to each category (Spend, Save, and Donate). Step 1: Rinse, clean, and completely dry the inside of your three Pringles containers. Tip #1: You can use any set of 3 cylindrical containers that are the same size as these Pringles containers or larger. 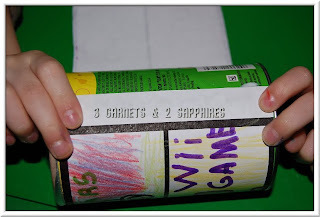 If you are using larger size containers, you will just need to cover the outside of the container with construction paper or wrapping paper (solid or printed) prior to gluing these labels on. Step 2: Print out each of the three categorized labels below. You can do so by clicking on the image to enlarge, right-clicking on the enlarged image, and then selecting "Print". 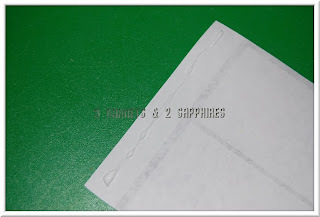 Tip #2: There is a blank label available. You can use this one to make up your own categories, such has investing, Christmas fund, video games, etc . . . 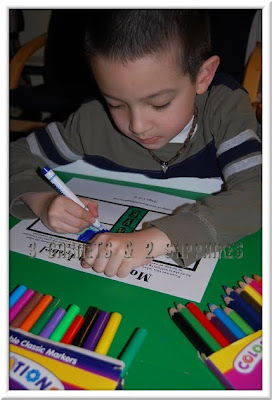 Tip #3: I had my son write what each picture represents because it will help others decipher the drawings who may be looking at them for the first time and also it is a good way to practice his handwriting and spelling skills. Step 5: Cut out the labels along the outer black lines while leaving about an inch of blank white on one end. That extra white part will be where the label overlaps with itself after being wrapped around the container. 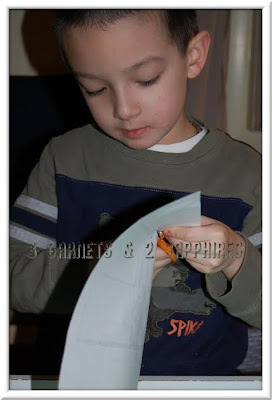 The cleaner the lines are, the better your labels will look, so you may want to assist younger children with cutting out the labels. 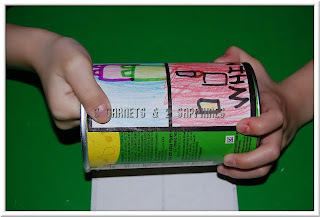 Tip #4: The labels I designed are made to fit exactly around these Pringles containers. If you are using a larger container, you can cut the label out around the thick black line on all four sides without leaving extra paper for overlapping. Step 6: On the backside of the first label, put a bead of white glue along the edge of the end that contains the extra white paper. Then carefully position that end onto the container, making sure that the label will wrap around smoothly. Then put a bead of glue on the backside at the tail end of the label. Wrap the label around the container and secure the end. Step 7: Repeat Step 6 with the other two labels. Here are how my son's money cups turned out . . . 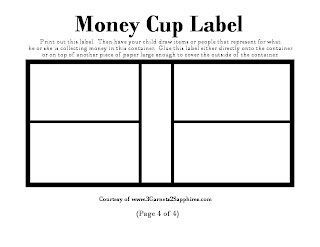 I also want to share how we have decided to divide our 6yr old's allowance between the three cups. His allowance is $5 per week as long as he does his chores. 10% ($0.50) goes into the Donate cup each week. 20% ($1.00) goes into the Save cup, which can be used later on to start a checking account or a college fund. The remaining $3.50 goes into his Spend cup. We try to use the same percentages for any incoming money, such as cash he has received for his birthday and other special occasions. Thank you to Discount School Supply for sending us markers and crayons free of charge to use for our Creating With Colors projects.